Today is World AIDS Day. To raise the awareness of this deadly disease actions are taken all around the world. In Vienna a flashmob at the Stephansplatz took place today at 2 pm. 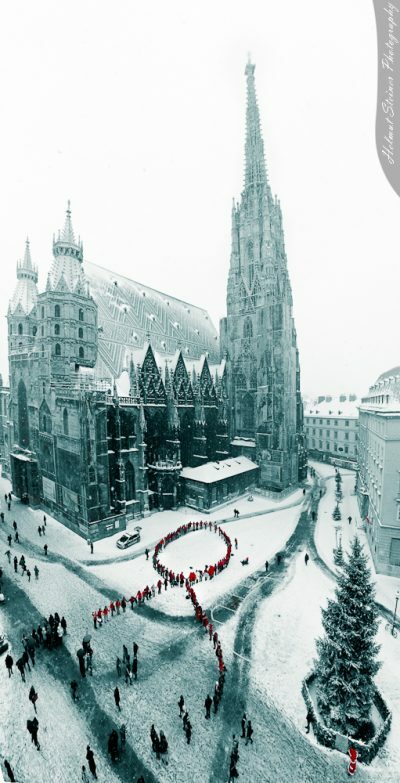 People dressed in red built a huge red ribbon right beside the Stephansdom.